For colds, I love boiling a chopped red onion in some water with @simplyorganicfoods ceylon cinnamon stick for about 20 minutes. Then add the liquid to a cup with some @idyllfoods raw honey ðŸ�¯ and drink. If your kids arenâ€™t into drinking tea, try drinking it in front of them. I also love @tasharoseremedies and the victory elixir for me. I use it the second the kids get sick or I feel myself getting sick. For the kids, I use @tasharoseremedieskids elderberry syrup. It is for kids over one (and always check with your doctor). For us, it was great -- Ryder recently had a cold and none of us got it! Anyone use Apple Cider Vinegar when they are sick? 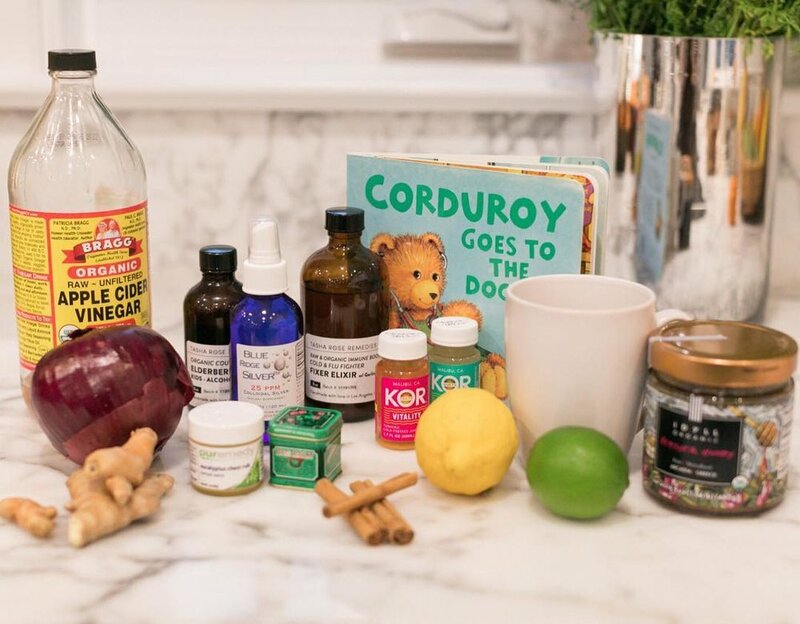 There are so many home remedies out there with ACV in it but I like to just boil it with water so the smell (which is not great) is in the house.